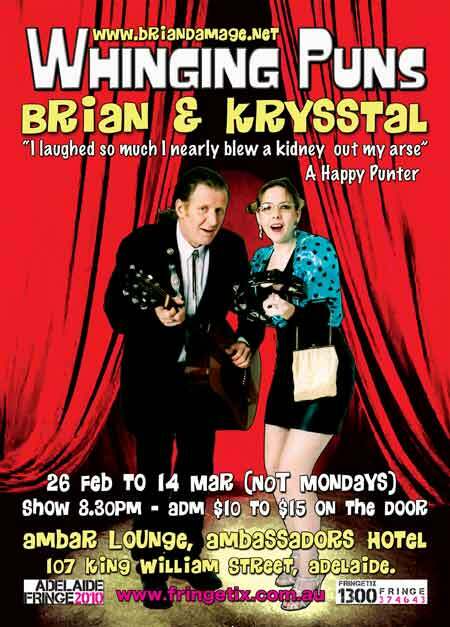 Brian and Krysstal - Modern day vaudeville musical comedy double act. Very silly - Very funny! may find these clips rude. There are a few copies left. 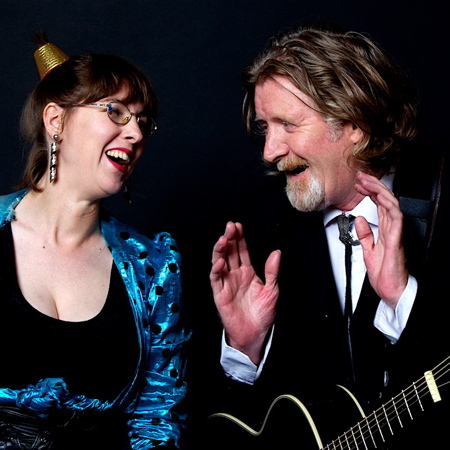 Regular fixtures at The Edinburgh Festival for eight years, the duo have worked all over the UK as well as Germany, South Africa, Gozo, Spain, Denmark, Ireland, Australia and of course� Peckham. 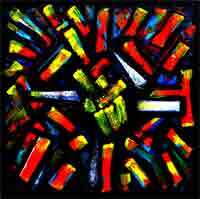 Brian & Krysstal's first CD �Silly Songs� was recorded in 2001 and their long awaited second album �Spudcast� is now also available online. 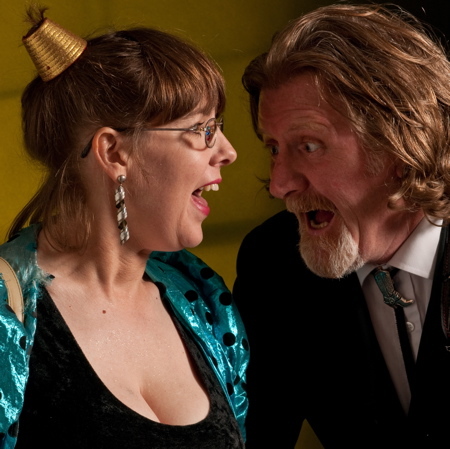 If you want something different and funny that stands out from the crowd � book Brian & Krysstal. If you want the usual stuff � book somebody else. Krysstal aka Vicky deLacy is actually quite a good actress and has done lots of theatre and TV and stuff in Oz. 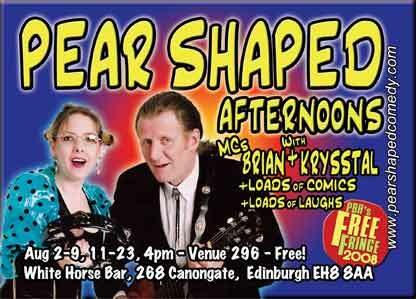 Journey to Ithaca is the one woman play Vicky was performing at the Edinburgh Festival 2000 when she met Brian. They decided to merge their talents and a few months later Krysstal was born. They also ran their own weekly comedy club, in Central London every Wednesday with Anthony Miller, Jimbo and Al Mandolino at The Fitzroy Tavern in Charlotte street, London W1. Most of the time it was fun. He's given up smoking, grown a beard, started painting, drawing, photographing inanimate objects in the street and talking to himself. We're all very worried!